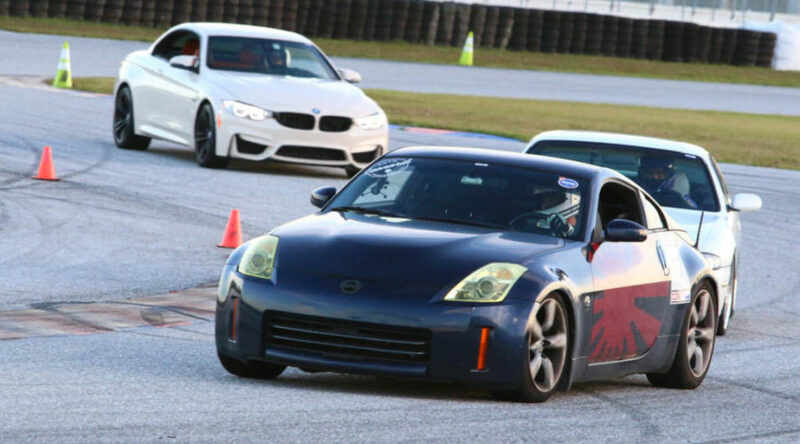 It was a last minute, spur of the moment decision to attend the SCCA Track Night event at Palm Beach International Raceway (PBIR). I had just opened up my email as I was settling in for a work day at the shop, when I saw the email from Track Night in America pertaining to the event happening on November 4th, just a couple of days from then. I was immediately interested but when I saw the pricing, I was sold! Our 2007 350Z was still in track mode after just racing at Road Atlanta just a couple of weeks prior, which meant prep work would be minimal but what really caught my attention was the pricing. At a measly $150 bucks, SCCA offered four- twenty minute sessions and drivers ed. taught by a pro-am driver. Needless to say, we were in. As I said, prep work was minimal since the 350Z had just participated in a track day at ZCON 2018 in mid-October. The usual check list including tires, brakes, fluids, safety equipment were all basically in top shape but we did have to switch back to our Carbotech XP10 and XP8 race pads. Those brake pads can be driven on the street but they really aren’t in their element until they reach their operating temperature which only heavy braking will able to produce. They squeal, grind, and produce tons of brake dust but once warmed up they provide consistent powerful stopping power lap after lap. So after reinstalling our brakes and checking all fluids while making sure that our Z was up to the task, I packed my gear and hit the road. 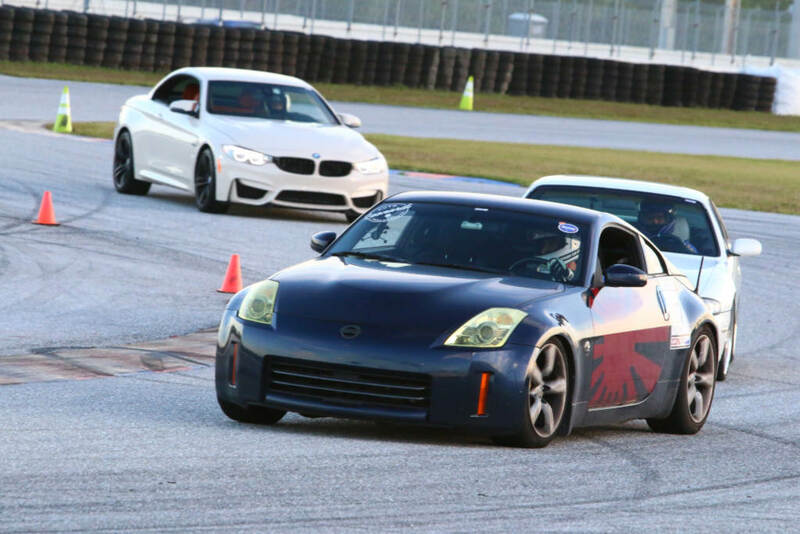 Palm Beach International Raceway is about a one hour drive from Leonardi Performance and while it isn’t necessarily “close by”, it’s still at a distance where we can call it our home track. It’s a challenging course containing 2.2 miles and 10 turns with a 6/10th-Mile straightaway, a couple of long sweepers and plenty of runoff space in case of loss of control. It is, as expected, very demanding on tires and brakes, and it’ll definitely test you car’s mechanical grip against other cars’ since the front and back straights are preceded by long right handers. The more speed you can carry through those turns, the faster your trap speed will be on the long straights but if a mistake is made on those turns, then you’ll be getting passed by someone for sure. Personally, the best part of the event was getting a chance to race under the lights after the sun went down. Until then I hadn’t had the opportunity to drive the car on a track at night and I must say that it was loads of fun. The darkness surprisingly allows the drivers to focus more on the track and the race line in my opinion. While we can still see the track very well thanks to the awesome, low glow lighting at PBIR, everything else is shrouded in darkness. This gives the drivers a tunnel vision of sorts by removing any possible distractions around and only highlighting the track and the cars in front and behind you. I definitely recommend the SCCA Track Nights event to anyone looking to get their feet wet in the circuit racing and precision driving world. It’s affordable and comes with plenty of track time and resources to help you to safely learn to drive your car fast. Come join us at the next event!